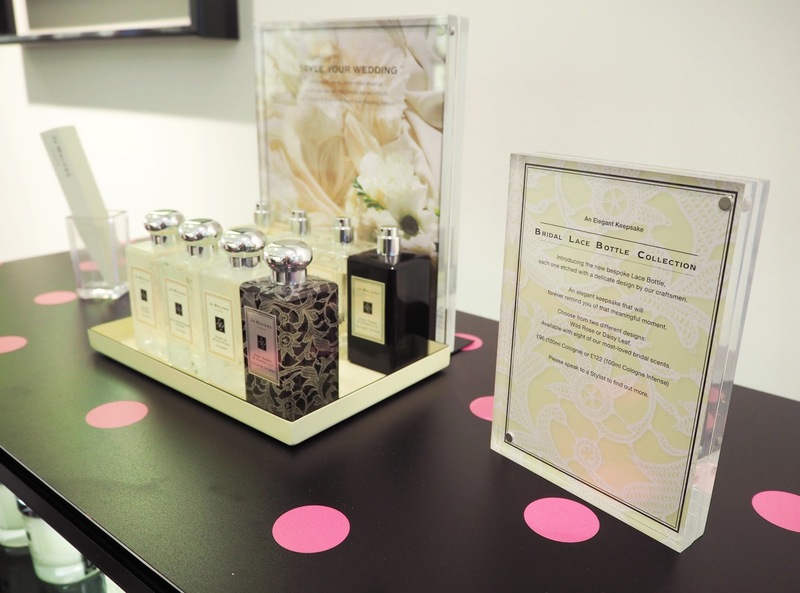 As you all know I'm a big fan of Jo Malone fragrances and I've been to a few customer events at my local store in Chichester this year to showcase new product launches as well as discovering how to layer their fragrances for a unique scent! I thought I'd share this with you along with my latest purchases. Star Magnolia | Delicate white blossoms bursting with spring`s sparkling charm. Star Magnolia is in bloom. Experience magnolia leaf and orange blossom with a kiss of lemon, ginger and shiso. Tantalising. Flirtatious. I fell in love with this fragrance as soon as I saw the beautiful bottle even before I tried the scent! I love the pretty white petal design around the cap and the bottle has a kind of white ombré mist on it. The fragrance is a light soft floral with lemony citrus top notes and sensual sandalwood in the base which is right up my street and perfect for summer time! I just HAD to pick myself up a bottle. I had a luxurious hand and arm massage to test out the fragrance and chose to layer Mimosa & Cardamon Wash & Body Creme on one arm and Wild Bluebelle Wash & Body Creme on the other with the Star Magnolia Perfume spritzed over the top. I must say they both layered really well with it! Mimosa & Cardamon is one of my absolute favourites and I think that scent is particularly good for fragrance layering. 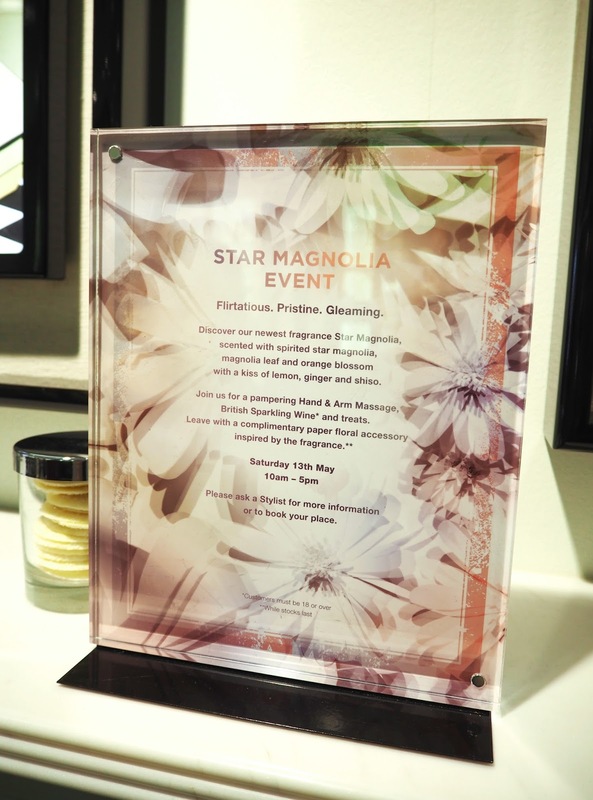 Star Magnolia was released as limited edition in the signature 100ml perfume bottle as well as 30ml bottle and a brand new product, a hair mist! I really wanted to get my hands on this but unfortunately it had already sold out by the time I got there and online too so it must have gone really quickly. I think the perfume is still available to buy in stores though so find your local one and give it a try! Star Magnolia Cologne 30ml Bottle. 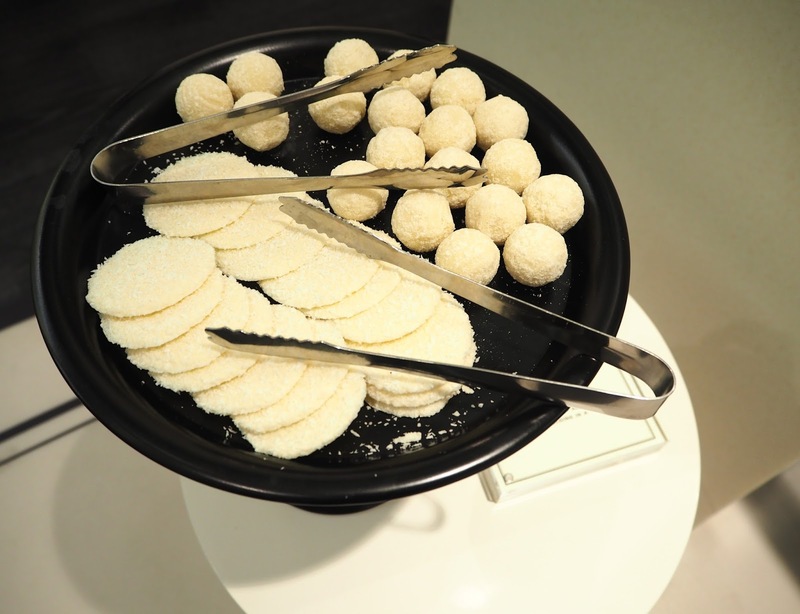 Some delicious coconut coated white chocolate truffles where on offer at the event - I may have consumed ore than a few! These brand new Exfoliating Shower Gels cleanse and polish the skin in one easy step. 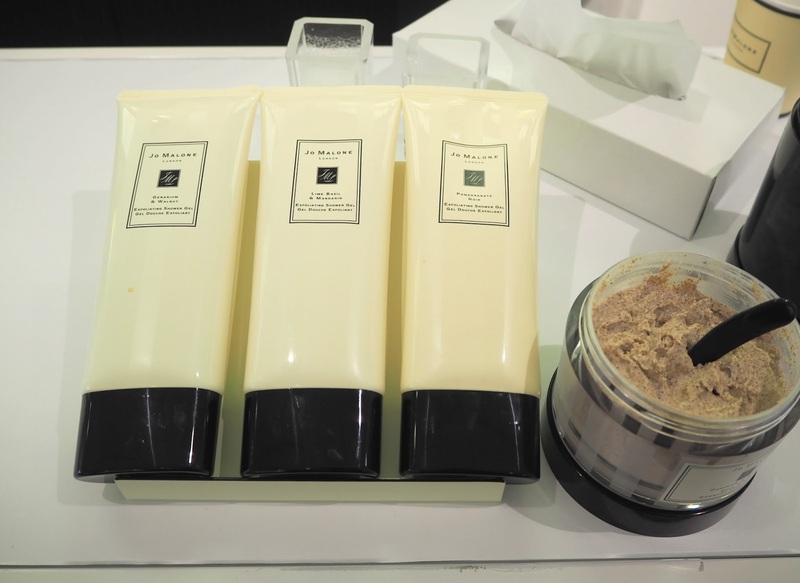 Leaving it feeling soft, reinvigorated and primed to receive all the benefits from your Jo Malone Body Crèmes. Lime Basil & Mandarin | The signature fragrance of Lime Basil & Mandarin. Peppery basil and aromatic white thyme bring an unexpected twist to the scent of limes on a Caribbean breeze. With just the right balance of exfoliating ingredients, it is perfect for an effortless and pampering daily routine. Soft Jojoba beads, finely crushed orange peel and bamboo stem work together to delicately smooth away dryness and impurities. Pomegranate Noir | The enigmatic fragrance of Pomegranate Noir. Ruby-rich juices of pomegranate, raspberry and plum are spiked with pink pepper and laced with Casablanca lily and spicy woods. With just the right balance of exfoliating ingredients, it is perfect for an effortless and pampering daily routine. Soft Jojoba beads, finely crushed orange peel and bamboo stem work together to delicately smooth away dryness and impurities. 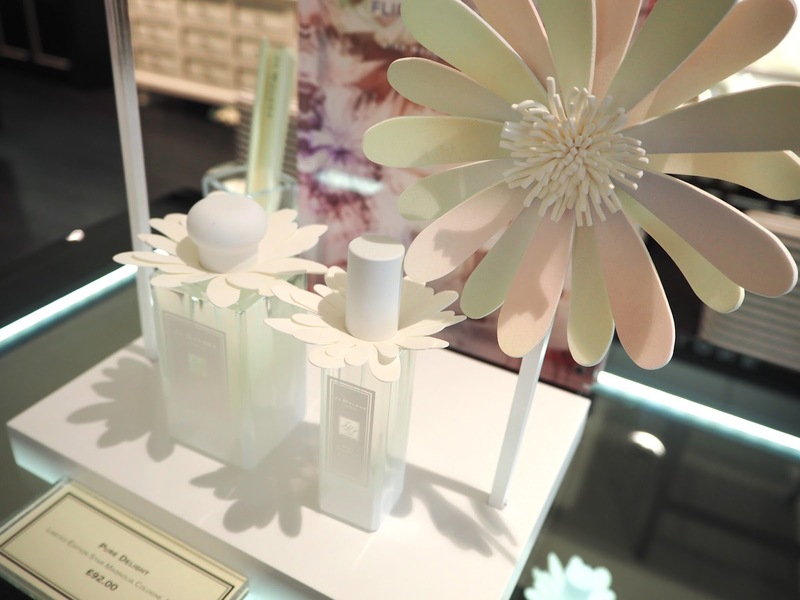 Geranium & Walnut | The new Geranium & Walnut fragrance was developed to complement each and every Jo Malone London fragrance. Crisp, vibrant Geranium is layered with the warmth of walnut. With just the right balance of exfoliating ingredients, it is perfect for an effortless and pampering daily routine. Soft Jojoba beads, finely crushed walnut shells and bamboo stem work together to delicately smooth away dryness and impurities. 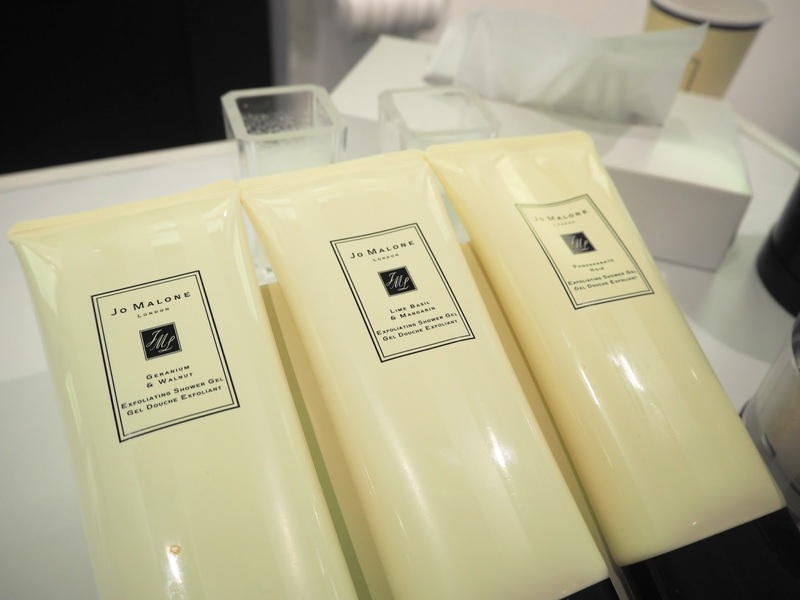 You may already be familiar with the fact that Jo Malone make body scrubs but these are different as they act like shower gels for an easy all over light exfoliation in the shower and of course leaving behind one of their signature fragrances! I was really excited about trying out these products for the first time. 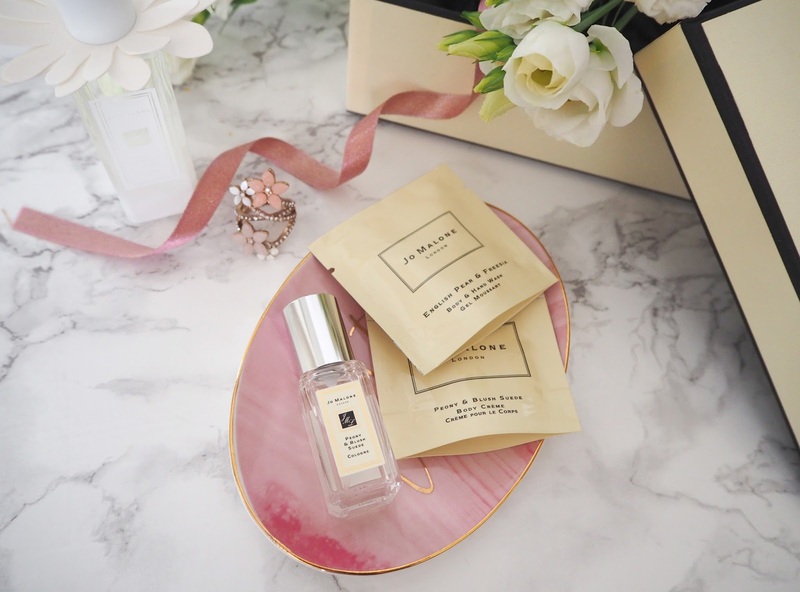 I love exfoliating, moisturising and feeling how soft it makes my skin afterwards coupled with some of my favourite Jo Malone scents I knew we were onto a winner! You only need the tiniest amount of product and it foams up into a feather light lather. I had the Geranium & Walnut scrub used on one arm which I loved the fragrance of as it's different to any of their colognes but you'll be familiar with it if you've used the hand cream and regular body scrub. I followed it with the English Pear & Freesia Body Creme & a spritz of the matching Cologne. On the other arm I went all out Pomegranate Noir with the new Exfoliating Shower Gel, Body Creme & Cologne! I think that one was probably my favourite. These Exfoliating Shower Gels are available at £30 each in 200ml tubes. Another new release are these beautiful new Bridal Lace decorated bottles designed for weddings! They look utterly dreamy and even though I'm not getting married anytime soon I'm super tempted to pick one up and have it permanently displayed on my dressing table. pair together for a scent that's a little bit floral and a little bit devilish..."
Check online for exclusive Blossom Belle and Rare Tea fragrance collections too. I haven't tried any of these scents myself so I can't give you a review but they sound fabulous! I hear there are some more exciting new launches from Jo Malone to look out for in Autumn/Winter which include new English Oak & Redcurrant and English Oak & Hazelnut scents - I'm totally intrigued already! Let me know if you have tried any of these products yet! 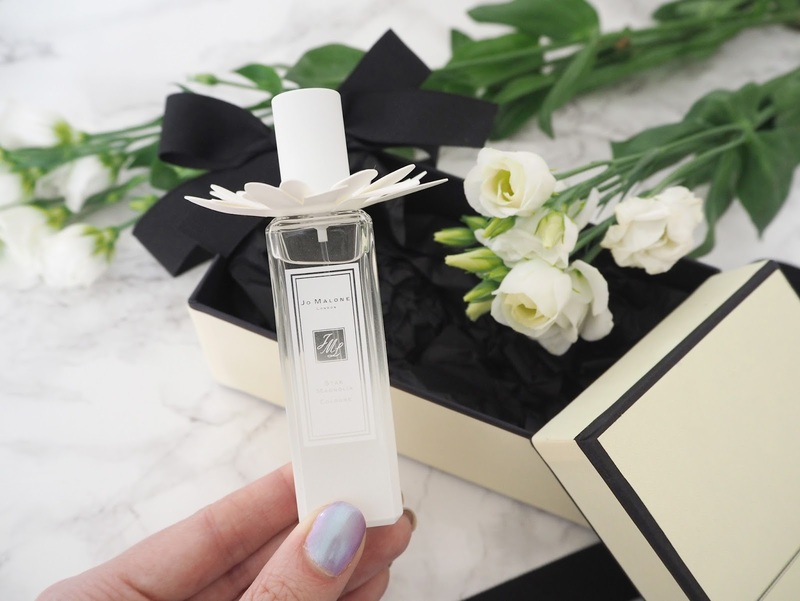 What is your favourite Jo Malone fragrance of all time? 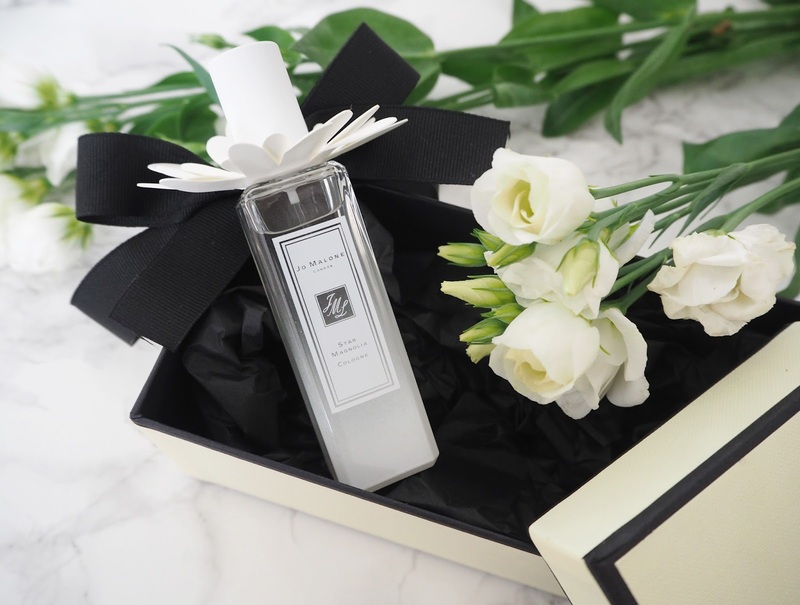 Everything from Jo Malone always looks and sounds beautiful, I must give some products a try and treat myself! I'm sure I'll be hooked after that! Lovely post Katie! Bluebelle & Co Event and Giveaway!